A light and well decorated one bedroom first floor flat with quiet and convenient position - available early April 2018. Situated at the northern end of Davisville Road, Askew Road's local shops and restaurants are minutes away, as are both Wendell and Ravenscourt Parks. This increasingly popular area offers a family orientated community with numerous good schools and of course the shopping and transports hubs of Hammersmith and Westfield. 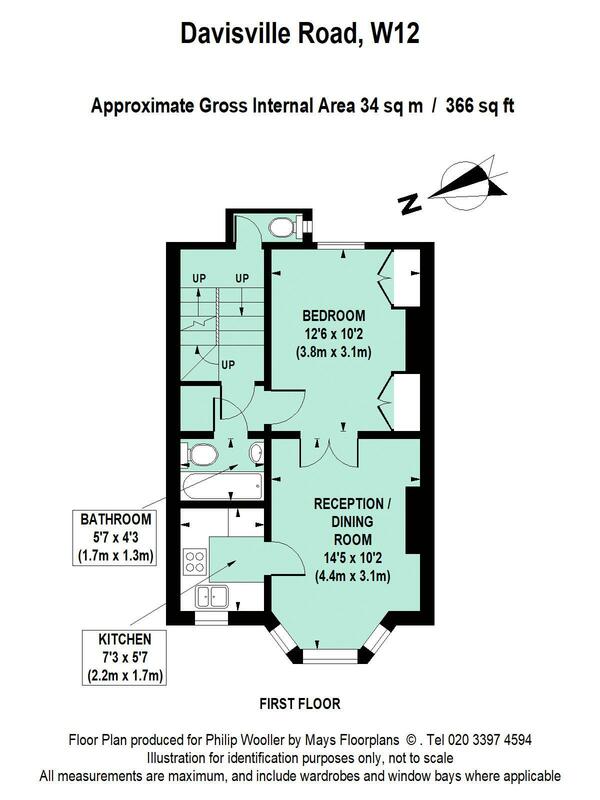 366 sq ft / 34 sq m approx.